Pattern by Pam Feix This pattern requires a 4" round base and a wire bucket. 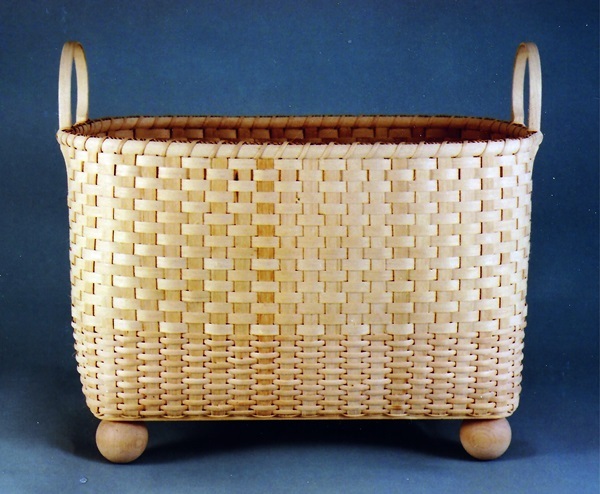 Pattern by Pam Feix This pattern requires a 6" x 12" rectangular slotted base, pine with a pair of 5" square topped bushel basket handles. Pattern by Pam Feix This pattern requires 3-5" round bases and a set of 3 acrylic, lidded canisters. Pattern by Pam Feix This pattern uses a 5" x 7" flat-sided oval slotted base and a wrought iron handle. 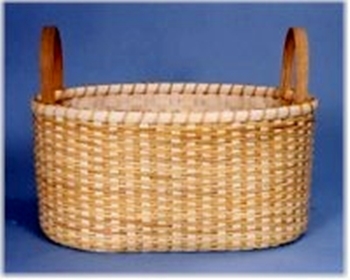 Pattern by: Pam Feix This pattern requires an EZ Organizer II base and hoop. Pattern by: Pam Feix This pattern requires a 2-7/16 x 3¼ oval base and heavy duty acrylic pump bottle. 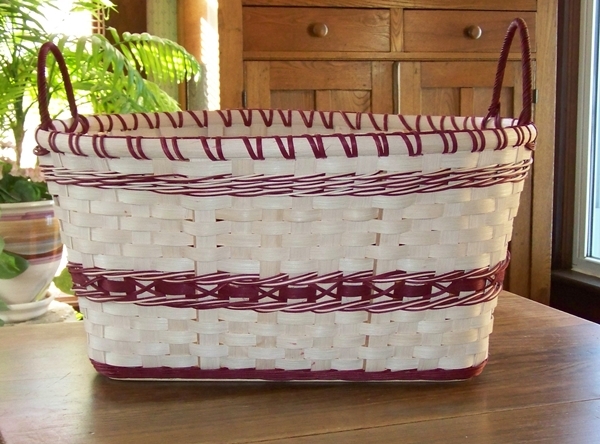 Pattern by: Pam Feix This pattern requires a 5x11 rectangular base and a pair of 4" Dan-Dee handles. 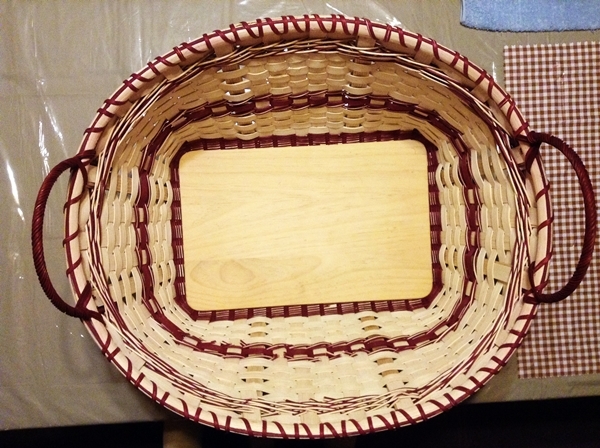 Pattern by: Pam Feix This pattern requires a 3½" x ½" round base and heavy duty acrylic dish with lid. Pattern by: Pam Feix This pattern requires a special made, divided base, with wrought iron handle, arylic poker chip holder and 'dice' beads. 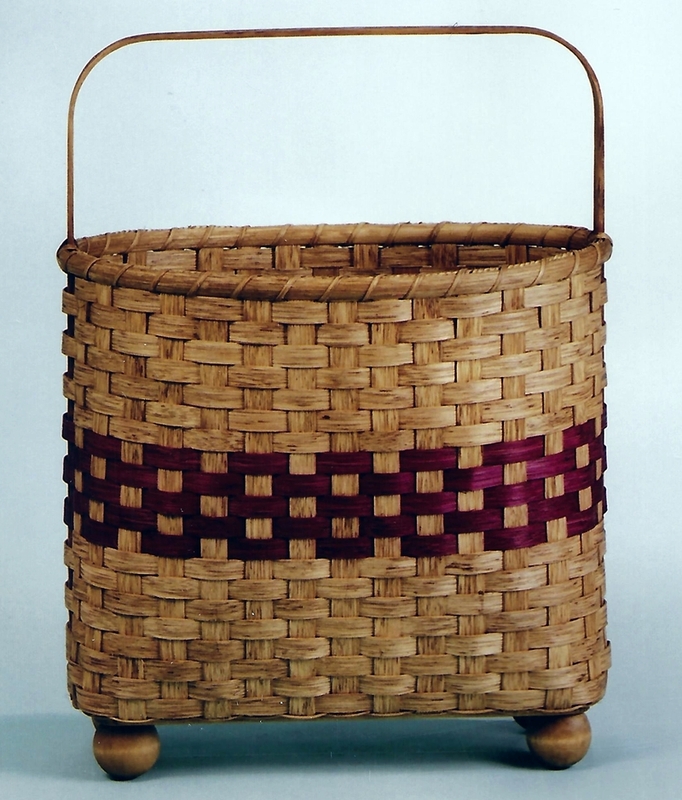 Pattern by: Judy Richmond This pattern requires a 13" x 20" rectangular slotted base, with 2½" ball feet and a pair of 5" spread bushel basket handles. This pattern was designed to hold the liquid nicotine bottles and to also hold the e-cigarette. The hole for the e-cigarette holder comes in both 5/8" and 7/8". 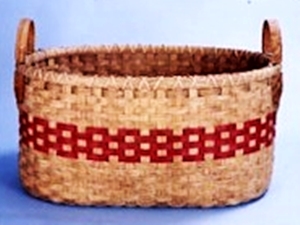 This basket pattern requires the Vaporized base/stand. Miscellaneous Bases page or the Round Bases page. This pattern requires an 11"x18" flat-sided oval DOUBLE slotted base. 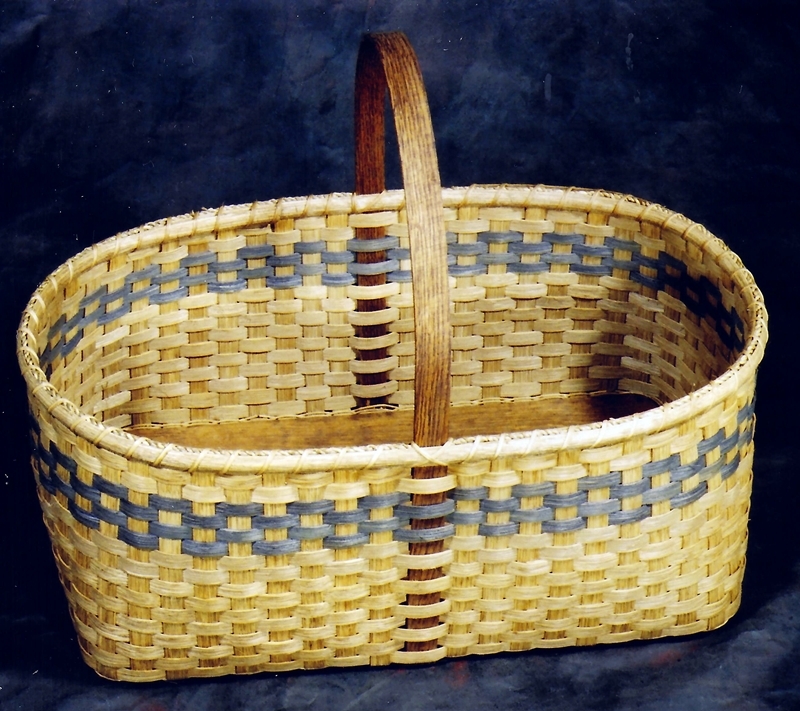 Author: Judy Richmond This pattern requires an 11"x18" flat-sided oval DOUBLE slotted base. 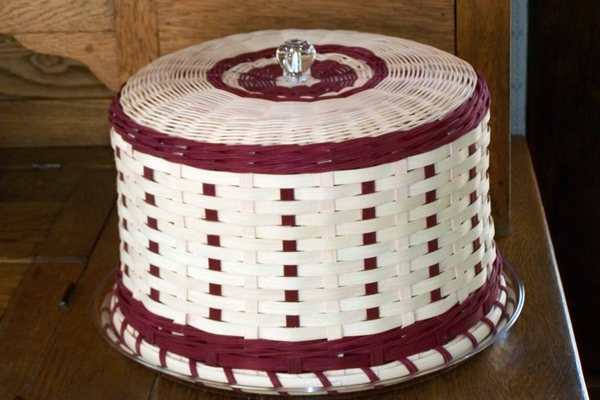 Designer: Pam Feix This basket pattern requires an acrylic cake lid, knob and acrylic cake plate. 11" x 17" rectangular base and 8 supports. 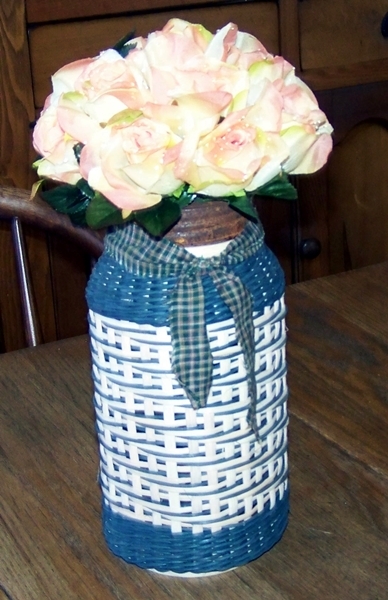 Designer: Pam Feix This basket requires a 4" round base and a rusty tin, wide mouth frog jar lid. 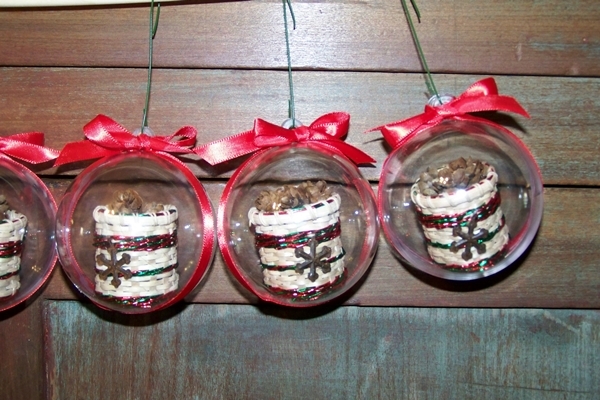 Designer: Pam Feix This is a kit to make the mini basket and then create the ornament. Kit includes everything but micro clips, brush on super glue, hot glue or tissue. 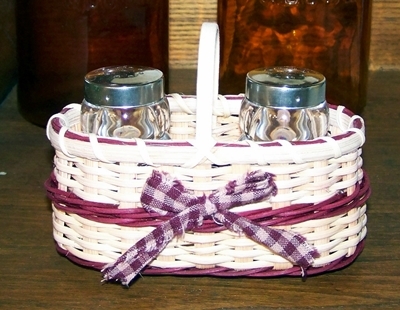 Designer: Pam Feix This pattern calls for a 1-3/4" x 4-1/4" flat-sided (race track) oval base, 2" round topped push in handle and acrylic base with acrylic salt and pepper shakers as shown in the bottom of the 2 photos.